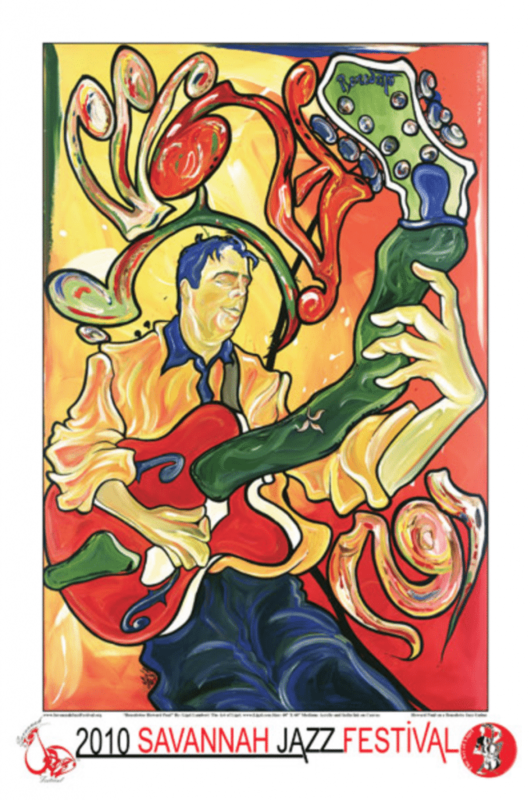 Howard was the subject of the 2010 Savannah Jazz Festival poster by artist Ligel Lambert. Howard Paul, President/CEO of Benedetto Guitars, Inc. readily acknowledges that he is fortunate to combine his vocation and avocation. A highly respected jazz guitarist who detoured along the way to study political science, serve in the military, and rise in corporate management, his enthusiasm for his company is infectious. Today, he strikes a delicate but exhausting balance between performance at jazz clubs and concert halls, lectures at universities and music schools, collaborations with artist/endorsers, and running the day-to-day business of manufacturing and sales at the 9,000SF Benedetto Guitars’ workshop located on the south side of Savannah, GA. 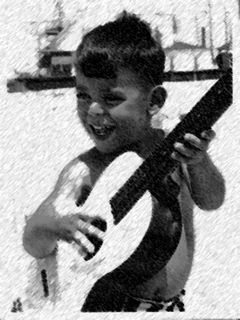 Founder Robert Benedetto started Benedetto Guitars in 1968. Following years of international acclaim as creator of a modern renaissance period in guitar-making, Benedetto briefly licensed Fender, the world’s largest guitar manufacturer, to build his instruments from 1999 to 2006. Howard joined forces with Benedetto to establish their new, independent company in March 2006. Today Benedetto sells around the world, building over 120 handcrafted guitars a year ranging from $5,000 to $50,000+ each. Their workforce of highly skilled luthiers is among the best in the business, applying from around the globe to vie for a spot on the Benedetto workbench. Robert Benedetto and his wife Cindy retired in 2014, leaving Howard to run the company with master lutheir Damon Mailand and the help of vintner/board chair Dave Miner. Howard grew up in Atlantic City, and has been playing guitar since the age of four, jazz from age ten, and began working in both small and big bands at 13. At 17 he joined the Judy Cahill Trio while teaching music as an adjunct faculty member at Atlantic Community College in N.J. He continued performing while he obtain a BA in Political Science from the UNC Greensboro from 1980-1984 and enlisted in the Army in 1986, completing Officer Candidate School a year later before serving in Europe, the Middle East (Desert Storm), Somalia and throughout the U.S. over the next nine years. He left the Army at the rank of Major in 1995 to work for the Olympics before joining Chatham Steel Corporation from 1996-2006, where he headed Human Resources, Information Technology, Quality, Safety, Transportation and Logistics for the company. During his tenure at Chatham Steel, he made time to perform up to 140 professional dates a year with his house bands at Savannah’s Mercury Lounge and Hilton Head’s The Jazz Corner. It was during this time that he established his friendship with Bob Benedetto and joined the ranks of Benedetto Players in 1999. As a musician, Howard has performed with many jazz guitar legends including Bucky Pizzarelli, Jimmy Bruno, Howard Alden, Jack Wilkins, Joe Beck, Joe Negri, Frank Vignola, Andreas Oberg and small group performances with saxophonists Tom Scott, Jody Espina and Oliver Nelson Jr., flutists Ali Ryerson and Matt Eakle, vibraphonists Chuck Redd and Christian Tamburr, bassists Ben Tucker, Mark Egan, Mark Peterson, Phil Morrison, Delbert Felix, Jim Kerwin and Phil Flannigan, B-3 masters Joey DeFrancesco, Tony Monaco and Doug Carn, and pianists Bob James, Lenore Raphael, Bob Alberti, Larry Dunlap, and Laurence Hobgood, trumpeters Jon Faddis and Marcus Printup, and many more. He has lectured at Duquesne, University of Southern California, San Diego State University, University of South Carolina, University of Louisiana, Furman, Winthrop, UNO, UNT, UT, Berklee College of Music, The New School, Musicians Institute and conservatories throughout Europe. He served as a clinician for the National Guitar Workshop, Crown of the Continent Guitar Festival, USC Summer Guitar Camp, Clemson Guitar Festival, as a contributing writer to Just Jazz Guitar Magazine, twice been a featured artist at The Smithsonian Institutions’ Jazz Cafe, and a jazz clubs including The Jazz Standard, Iridium, The Bar Next Door, Shanghai Jazz, The Jazz Kitchen, Yoshi’s Oakland, The Jazz Corner, Kuumbwa Jazz Center, Silos, Merion Inn and Blue Wisp. In 2011 Howard was inducted in the Coastal Jazz Hall of Fame, and in 2010 his likeness was the subject of the Savannah Jazz Festival Poster and Program. His most recent recordings include 2014 Tony Monaco & Howard Paul: New Adventures; 2012 Bob James & Howard Paul: Just Friends; 2009 Ali Ryerson’s Jammin’ at the Jazz Corner; and 2006 Howard Paul Trio: Live at the Jazz Corner with Ben Tucker & Ray Nunzi. He was featured in 2014 on Chris Standring’s Inside Track TV series. Howard lives in Savannah with his attorney/clarinetist wife Patricia, and son Andy.